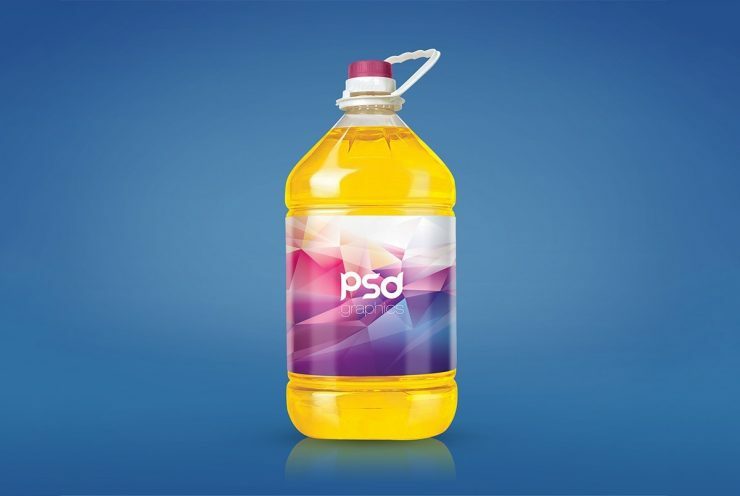 Download Free Cooking Oil Bottle Mockup PSD. Present your cooking oil bottle packaging label in a realistic manner with this free mockup psd. This cooking oil bottle mockup will help you present and showcase your Oil Bottle Label Design in realistic way. It is designed with smart object layer so you can customize the oil bottle packaging label design in few simple clicks. You can easily change the bottle cap color to match with your vegetable cooking oil bottle packaging design. This oil bottle mockup will give a photo realistic look to your product and your client will get the idea and visualise the bottle label designs easily. Hope you like this Free Cooking Oil Bottle Mockup PSD Enjoy!